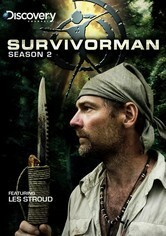 Les Stroud showcases his survival prowess in various locations -- like the Canadian arctic and on a raft in the middle of the ocean near Belize -- where locating food, water, and supplies to build shelter pose as his chief challenges. With no production crew present for this gripping television series, Stroud goes for up to seven days video recording his highs and lows during meticulously planned jaunts around the globe. 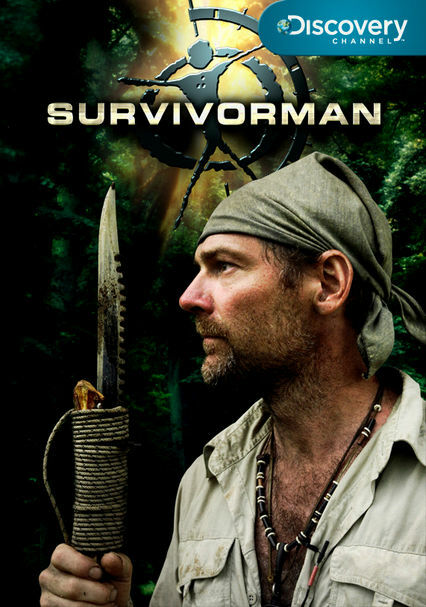 In this harrowing reality series, "Survivorman" Les Stroud travels to far-flung locales with not much more than the clothes on his back and 50 pounds of camera equipment to battle -- and try to survive -- insanely harsh conditions. 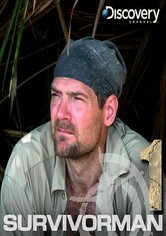 The first season finds Stroud spending a grueling week alone in each brutal environment, including a Costa Rican jungle, the frigid Arctic Circle, the arid Sonora Desert and the gator-infested wetlands of Georgia. 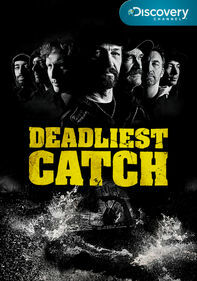 New challenges await Les Stroud in the second season of this top-rated reality show. 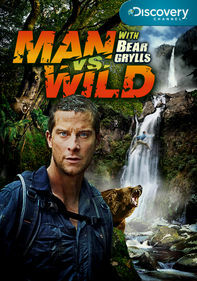 Each episode finds Stroud using his ingenuity and knowledge of the outdoors to survive for a week with few supplies in some of the world's most hostile environments. Stroud endures the Kalahari Desert's 140-degree heat, braves insects and jaguars in the Amazon jungle, competes with bears for salmon in Alaska and avoids being eaten by South African wildlife. 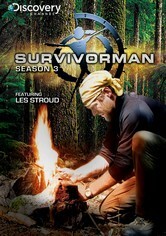 "Survivorman" Les Stroud continues to place himself in some of the most hostile environments and endure harrowing conditions to test his remarkable survival skills in the third and final season of this popular adventure reality series. 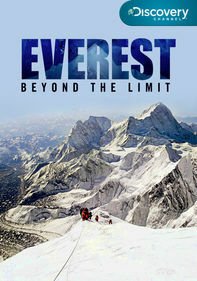 With few supplies, Stroud survives as he's stranded on Baffin Island on the arctic tundra, runs out of plane fuel in the isolated Australian Outback, experiences a week in Papua New Guinea's dense jungle and more. 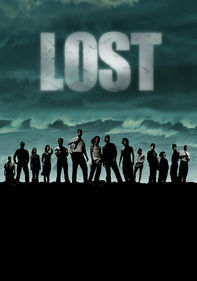 Parents need to know that each episode of this show focuses on the host's ability to survive in extreme conditions -- such as in the desert or on a mountaintop -- for seven days with no food, water, or equipment. 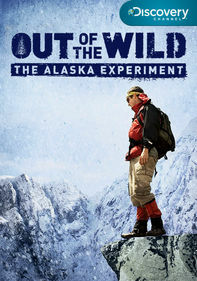 While adults will understand that he'll undoubtedly make it back to civilization, young viewers might find the challenging conditions stressful or even frightening. 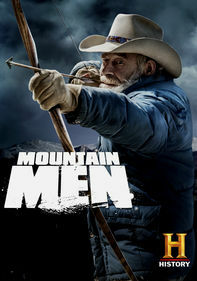 Some moderate peril as the host battles the elements and sometimes-rough terrain. Teaches the importance of being prepared. 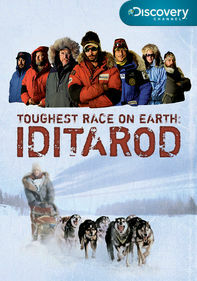 Stroud models the necessity of relying on your skill and wit when faced with a challenge.